Fact Check: Did Hiring Donna Brazile Cause Fox’s Stock Value To Drop? 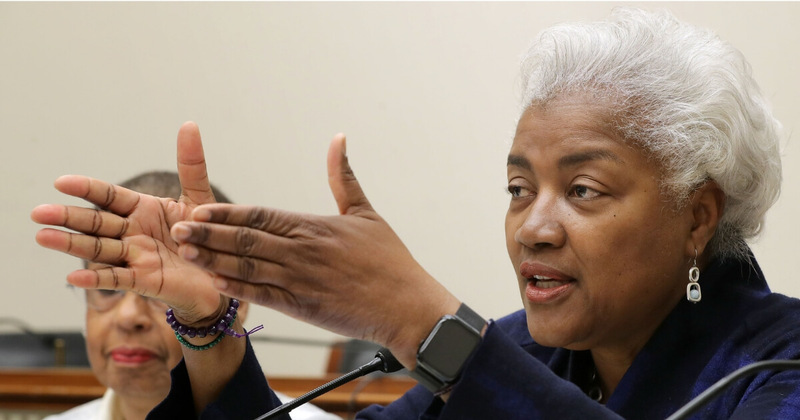 #Fox went public on the stock exchange & immediately hired #RinoRyan & cheatin' #Brazile, increasing the number of liberal socialists appearing daily. Donna Brazile joined Fox News as a contributor and Paul Ryan now sits on the company’s board of directors. Almost on cue, the stock dropped precipitously. And then, of course, there was Twitter. So, did Fox’s stock drop? Yes. In fact, as The Street notes, it was down 3.25 percent on Monday to $40.17 a share. It’s recovered somewhat to $41.70 a share, but still nowhere near where it was. But here’s the problem: It has nothing to do with Donna Brazile, or Paul Ryan or even Judge Jeanine’s suspension. Here’s my gross oversimplification of a complicated issue. In 2018, Disney acquired 21st Century Fox for $71.3 billion. “We are extremely proud of the businesses we have built at 21st Century Fox, and firmly believe that this combination with Disney will unlock even more value for shareholders as the new Disney continues to set the pace at a dynamic time for our industry,” Rupert Murdoch said when he agreed to the acquisition, according to CNET. On March 20, according to the SEC filing, the merger took effect. However, there were certain entities that didn’t get absorbed into the new company — including Fox News, Fox Broadcasting and Fox Sports. All three of those would be under the new entity known as the Fox Corporation. The new entity took over the old stock ticker names that Fox used — FOX and FOXA. And it wasn’t just confusion that had the stocks trading lower, according to the Motley Fool.